I like to think of myself as somewhat of a connoisseur of lazy day makeup. Over the years I've mastered the whole "bet-you-think-I-made-an-effort-look" with one swift motion of a concealer and mascara wand. 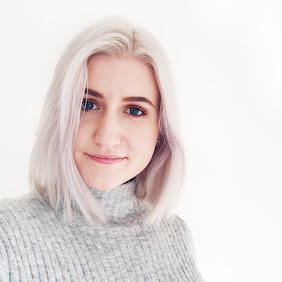 Because of this penchant for minimal effort makeup, I've discovered a fair few products that are ideal for lazy days. Here are five I like to sub in when I want to look decent, but don't want to so much as look at my makeup brushes. Jouer Matte Moisture Tint - This is one I tend to reach for once Spring rolls around, as I like to go a little lighter on my base. As I do have combo/oily skin, the lighter bases tend to be slightly too dewy for me. This isn't a matte matte kinda deal - there's definitely some luminosity left in there. The result is a lovely, natural satin finish that doesn't make it look like you're wearing five layers of makeup. It has a somewhat whipped texture, so I like applying it with my hands and blending it in with my fingertips, making for a super quick, simple base. L'Oreal Brow Artist Plumper - If you've got brows that need a little extra help with sparse areas but can't always be bothered to crack out the eyebrow pencil/angled brush and powder, this is a fab one. The formula contains tiny little fibres that add fullness to the brows and help to fill in sparse areas. It'll also fix your brows in place all day. Just beware if you purchase a brand new tube - I tend to remove some of the product off the little brush first, to avoid it dispensing way too much in one area. Aside from that, a great budget-friendly brow buddy. 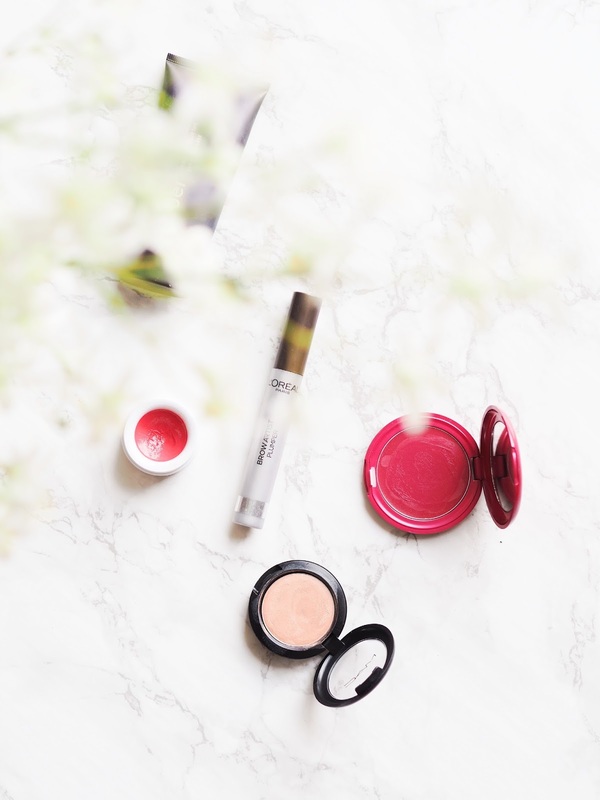 Korres Lip Butter in Pomegranate - I. Am. Obsessed. With. These. Straight up. I've been through more than I care to (or really can) count. It's so rare that a tinted balm will actually both look good and keep your lips hydrated. This particular shade has such a pretty pink tint to it that looks really flattering with minimal makeup and actually lasts pretty decently on the lips. Yes, the pot-packaging means it's not ideal for on-the-go but I'm willing to sanitise and forgive because it's just that good. They're a little tricky to track down these days (at least where I am!) but well worth it. One swipe of this and you immediately look more put together. MAC Cream Colour Base in Hush - I've said it before and I'll say it again: I don't like cream highlighters. Mostly all they do is disrupt your base in a major way and leave a weird, sticky sheen. Surprisingly enough, however, I really like this. The texture is smooth and not sticky and the shade is a gorgeous, slightly peachy champagne colour. It's definitely not a highlight that will have people spotting your cheekbones from across the road, but it does give you a lovely little glow that looks flattering and natural. On lazy days I just tap a bit of this onto my cheekbones using my finger and blend it out slightly. A little also goes a long way, so this lasts ages! Stila Convertible Colour in Tulip - They don't actually sell this particular shade anymore, as far as I know, but the concept and formula remain the same. Cream blushers are another product I'm a little meh about. I often find them tricky to apply and just straight up abandon ship. This feels sticky in the pan but blends out so easily and imparts a lovely rosy glow to the complexion. If you pick up a slightly darker colour of these, as Tulip is, be wary that once again, a little goes a long way! It's super pigmented so you could end up looking a little clown-esque if you don't curb your enthusiasm with the application. If you're feeling fancy, you can even pat a little of this onto your lips. A two in one: what more could you want for a lazy day? 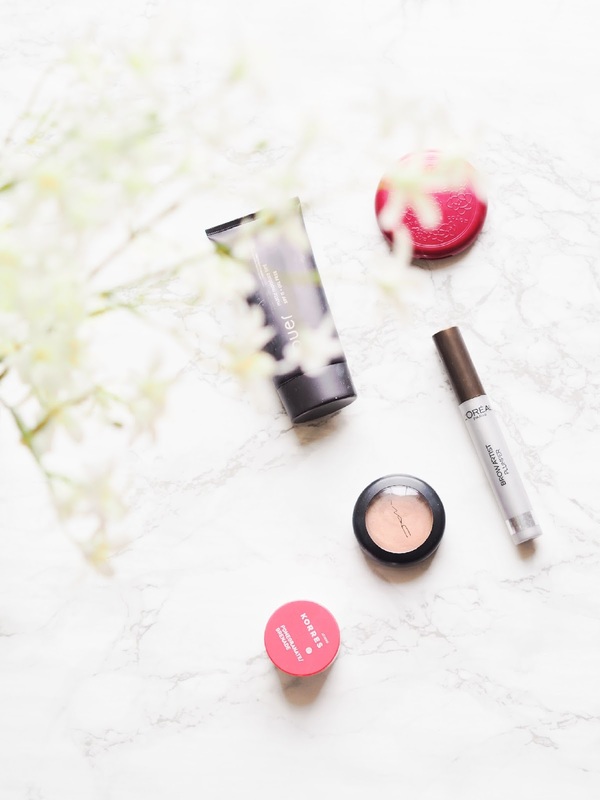 So there we have it, a few spring-appropriate (bar the eyebrow gel, pretty sure that's an all-occasion type thing) makeup picks for a lazy day. Hopefully this has provided any other kindred spirits with a little effort-saving inspo. What are your faves for lazy days? I love the MAC Cream Colour Bases, they're so quick and easy. The eyebrow plumper is really good! I think I'll pick it up next time when I run out of my current one, good brow really makes a good face!